SVEntrepreneurs community cannot succeed without you. Now its open to SV Entrepreneurs to the members / organizations to host meetup who are benefiting to the members. 1 Free events who are generally benefiting the community members. 2 We love to collaborate with different non-profit organizations. Our team will help you to promote to Facebook, Linkedin, etc if you have a great content! Bellow is the guideline my team sent out few months ago. And since then, we had done several events this way. Subject: [SVEntrepreneurs] Suggest a a great meetup for Silicon Valley Entrepreneurs & Startups! 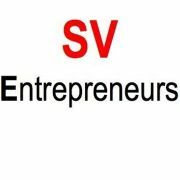 SVEntrepreneurs, the Co-Organizer of ‘Silicon Valley Entrepreneurs & Startups’ Meetup Group has changed the settings for the group. Members can add Meetups, but can only be announced by an Organizer. Please do not use this to promote third party events.